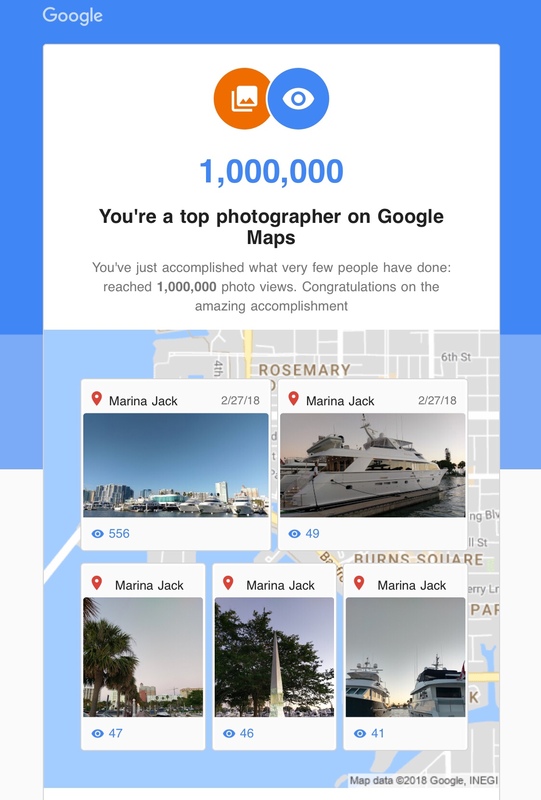 March 7, 2018 // Sarasota, FL – Scott Prentice is awarded Google Master Photographer after working as an Expert Photographer publishing 1000’s of photographs and site content. Scott received this after is photographs received over a million views in Google Maps. Scott is now doing many exciting things including 360 degree photos and video for his clients. As this screen shot reveals, this is an accomplishment that very few people have done and Scott is proud to offer his service for Sarasota and surrounding area businesses his service. Please feel free to contact Scott for more information to obtain great 360 degree photos and video to your Google business listing. Hire a Professional Photographer to upgrade your listing at very affordable rates.